Central Information Commissioner Prof Sridhar Acharyulu found fault with National Green Tribunal for spending around 30 thousand to collect Rs 10 to furnish information, by unnecessarily taking the issue up to second appeal. The CIC directed NGT to give information sought free of cost. One Alok Kumar Ghosh applied for post of Group D-MTS but not selected. He file an RTI application to know how many candidates appeared for that post, marks obtained, his rank in general and rank among OBC candidates, names of selected candidates and their marks, how many Group D-MTS officers were engaged in NGT at present and number of employees on contract for this category. He paid the fee through Court fee stamps. CPIO of NGT wrote back to appellant asking to pay Rs 10 through DD or IPO. For writing this they have spent Rs 50. If the appellant, as asked pays Rs 10 by IPO/DD, NGT would spend another Rs 50 to send back information. If appellant paid Rs 10, NGT’s loss still remains Rs 40. If information is dispatched, cost will go up to Rs 100. Supposing appellant did not dispatch Rs 10 by postal order, the public authority has already lost Rs 50. Instead of all this spending CPIO should have sent the information sought. The learned council said if not the audit would object why money due to Government is not collected. The NGT pays its advocate, Rs 31,000 as retainer, Rs.11000 plus Rs 21,000 for first and second appeals asking its advocate to present ‘expert argument’ how absence IPO for Rs 10 is stumbling block to furnish information about selection and rejection of candidates for some posts. This reflects lack of concern for transparency and also for public money and leaves common man wondering reasonability of this attitude. Is it worth spending Rs 33050 plus to deny information? Because of such attitude, doubts raise about ‘fairness’ of process for recruitment for Group D-Multi Task Staff. This also indicates a dire need for to sensitize personnel in NGT to break this kind of mindset of denying the RTI at the huge cost of state exchequer. The public authority should not have ignored the fact that it was a wing of Government entrusted with duty of serving justice. It should have understood that the citizen has already paid Rs 10 through court fee, which will surely go into the account of Government (State or Centre), though format of payment may not be strictly as prescribed. It is not a case that citizen applicant did not pay any fee. This is not an application without fee simpliciter. The bona fides of applicant is established by his payment. Denying information, which public authority has to give on its own, even after applied for, rejecting it for Rs 10, and fighting the rightful citizen with the might of state power and public money is absolutely unpardonable and totally against the will of the parliament. Rs 10 is not must for giving information, as public authority has to supply most of information on its own and a person of BPL should get it for free as prescribed by law. RTI request without fee is not invalid per se. 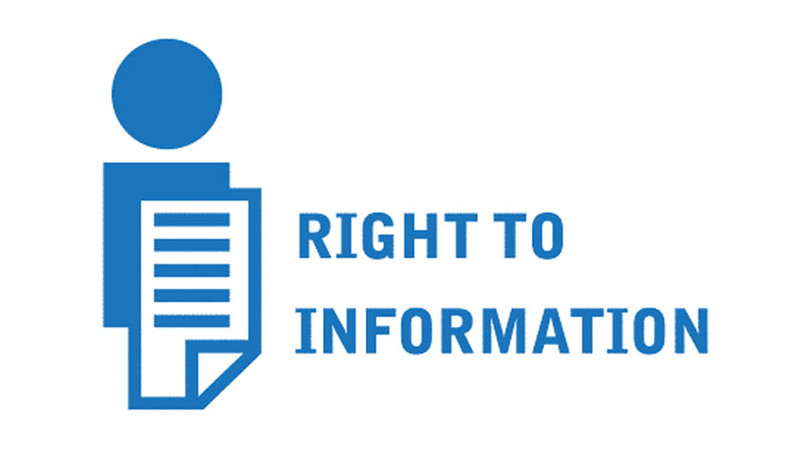 Paragraph 20 of Guide on Right to Information Act, 2005, issued by DoPT says “there is no bar on the public authority to supply information in response to such applications”. There is another relevant paragraph in DoPT guide with caption, “Applications received without fee”, in which it is stated at point 2 “Soon after receiving the application, the Public Information Officer should check whether the applicant has made the payment of application fee or whether the applicant is a person belonging to a Below Poverty Line (BPL) category. If application is not accompanied by the prescribed fee or the BPL Certificate, it cannot be treated as an application under the RTI Act. It may, however, be noted that the Public Information Officer should consider such an application sympathetically and try to supply information sought by way of such an application”. From these guidelines it is clear that ‘fee’ is not material factor to throw out the RTI request. Non- payment of fee is not prescribed ground for rejection of request. It is pathetic that such a simple request for information has been dragged to the level of second appeal engaging some highly paid advocates and building heaps of documents with multiple files consuming reams of paper (which means some trees and thus a clear environmental wastage besides contributing pollution by a Green Public Authority!) spending huge amount of money besides consuming precious time of public servants including that of the Commission. After hearing story of spending for legal battles to deny information up to Rs 30,000 for an IPO of Rs 10, the proverb ‘penny wise pound foolish’ has to be rewritten as ‘rupee wise and thousand foolish’. give a complete report on the process, criteria adopted to select D-MTS staff challenged by applicant considering his RTI application as complaint, with the reasons for rejecting candidates including appellant, marks obtained by candidates. make it a policy to place all results of recruitment test or interview, minutes of committee selecting candidates for different posts, with reasons for rejection, besides informing that to every candidate. to explain why public authority should not be directed to pay compensation which is equivalent to amount spent by public authority so far, fighting against him to deny.